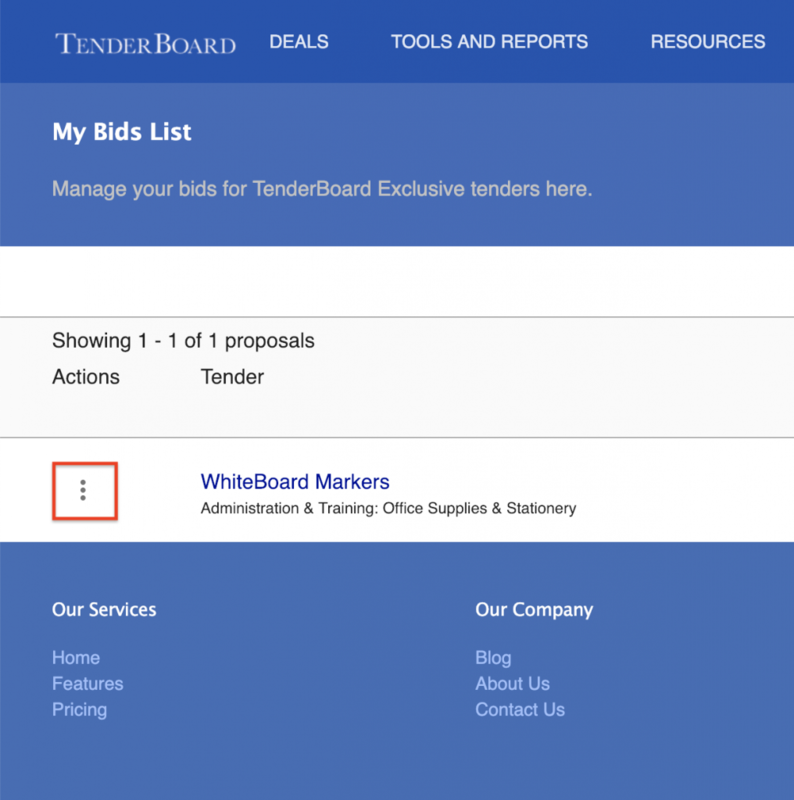 Need to amend your bid on TenderBoard? Follow these steps to get your proposal updated! *Do note you can only amend and resubmit before the tender closing date. b. In My Bidlist, click on the options icon (3 vertical dots), and select “View Submission”. 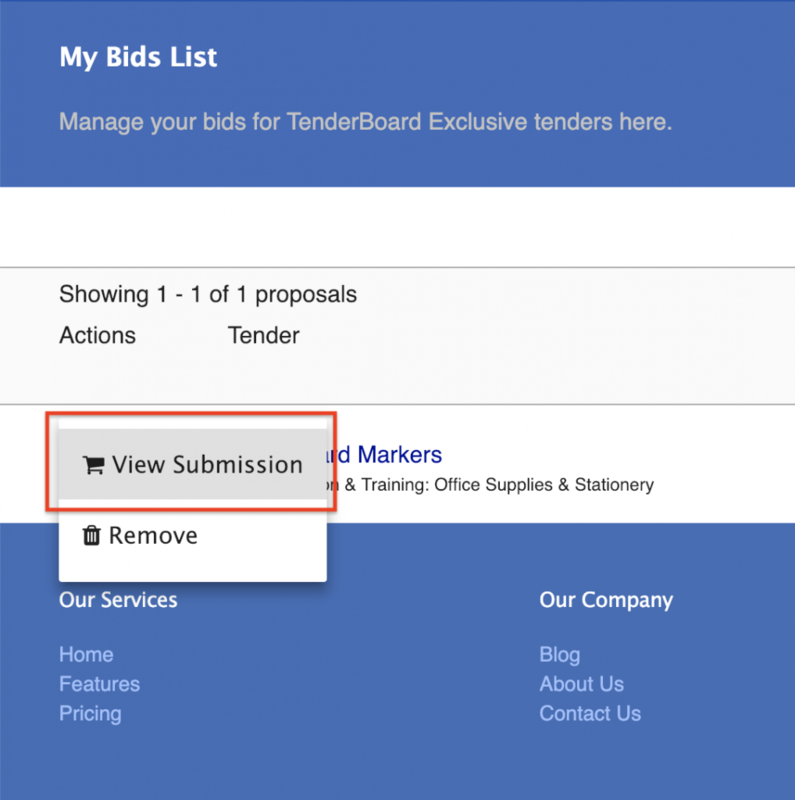 c. In your proposal page, click on “Resubmit” to amend and resubmit your bid. To resubmit your proposal, follow bid submission steps here. And that’s it! If you face any issues, do reach out to our customer success team by clicking below!